Imprinted Poker Chips. 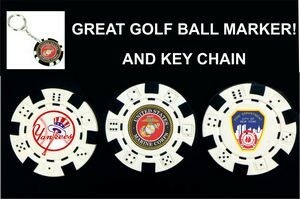 Great As A Golf Ball Marker or For A Good Old Game Of Poker/Texas Hold'em. Made of High Quality Clay. Imprints on Both Sides One Color or Full Color.